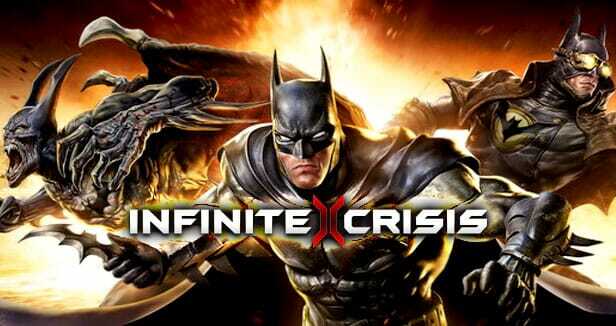 Infinite Crisis is a comic based MOBA game developed by Turbine and published by Warner Bros. Interactive Entertainment on March 14, 2014. Originally it was from DC comics and was then later on turned into a video game. As an addition to the MOBA scene, it pretty much gave the comic fans something to look forward to. From your favorite superheroes like Batman to one of your likable villain the Joker, the options are endless. * Cinematic cut scenes are awesome as well as the gameplay leaves you that DC vibe and get you pumped up. * The maps are one-of-a-kind as they offer 2 and 3 lanes thus, giving you a different META or positions when it comes to laning. * Additional bonuses in the game can be seen everywhere. To matchmaking queues, daily login bonuses, free champions, and costumes. * You can also build up Amplifiers which you can then insert MODS and Augments which acts as power-ups that you can use depending on the champion your using. * You can buy and save multiple amplifiers as they are not limited. They also have these Stolen Powers which acts as borrowed skills from existing champions in the game. * Controls are pretty much the same as any MOBA game. You get the war keys which is QWER and D,F for the Stolen Powers. * Menu for the in-game shop and settings are simple and easy to navigate. – Loads of freebies such as free champs, costumes, and daily login bonuses like MODS etc. – Straightforward tutorials and tips. – Awesome CGI and movie cut scenes. – Great voice overs on your fave champs! – Takes time to join in a 5 V 5 game. – Support team and dev – updates don’t seem to care with the new issues within the game. – Lag may come up anytime. – Connection Errors when logging in. – Needs more marketing strategy to expose the game even more. Overall, the gameplay promises that unique feel to most MOBA gamers out there. Adding comic characters which we love when we’re still kids. Graphics wise the game gives us that enthusiastic feel, but so far it is still not enough for some and the player count are slowly deteriorating. Probably, with proper marketing and coming up with new exciting ideas, it may stand out in the MOBA scene.